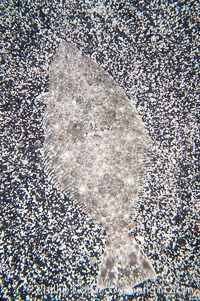 Speckled sanddab, which can alter its color and pattern to better camoflage itself against the sandy bottom on which it lies. Speckled sanddab, Citharichthys stigmaeus Photo. 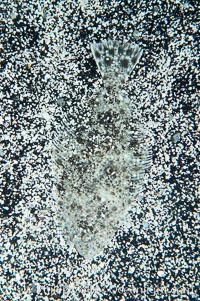 Speckled sanddab, which can alter its color and pattern to better camoflage itself against the sandy bottom on which it lies. Speckled sanddab, Citharichthys stigmaeus Picture. 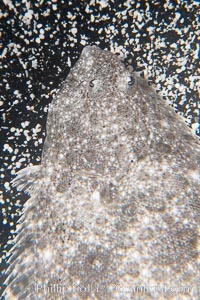 Speckled sanddab, which can alter its color and pattern to better camoflage itself against the sandy bottom on which it lies. Stock Photography of Speckled sanddab, Citharichthys stigmaeus.